With 4 room types, ranging from our Deluxe Suite to our spacious and luxurious Residence Suite, you are spoiled for choice. 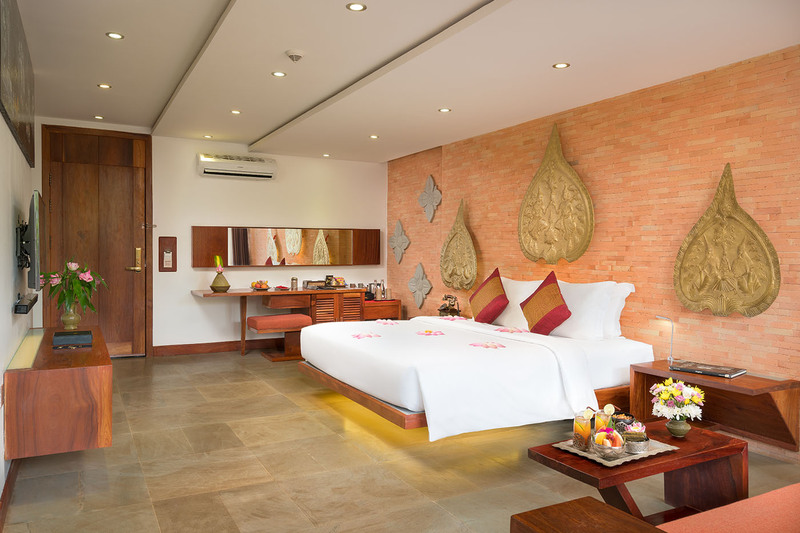 All rooms are very well appointed, decorated in a classic style, complimented with some unique and traditional Khmer art. The rooms have everything you would expect of a good quality hotel, including, airconditioning, LCD televisions, Wi-Fi, personal safe, mini bar and tea and coffee-making facilities. Our Deluxe Suite rooms are primarily located on the fourth floor, and feature double beds and a spacious en-suite bathroom. 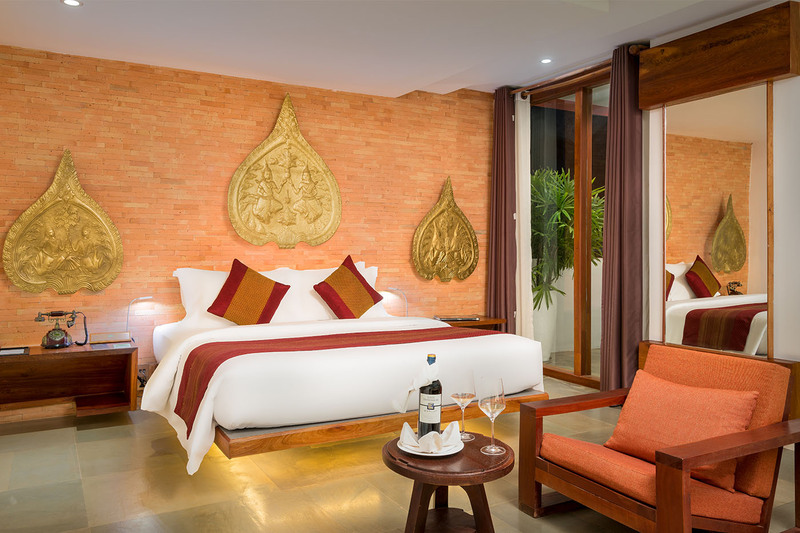 The decor features traditional Cambodian art and handicrafts. Our Luxury King/Twin Suites are the most highly desired of our suites in Golden Temple Residence and are popular with both families and couples. Located on the upper floors, the Luxury King/Twin Suite rooms feature double or twin beds and a spacious en-suite bathroom. 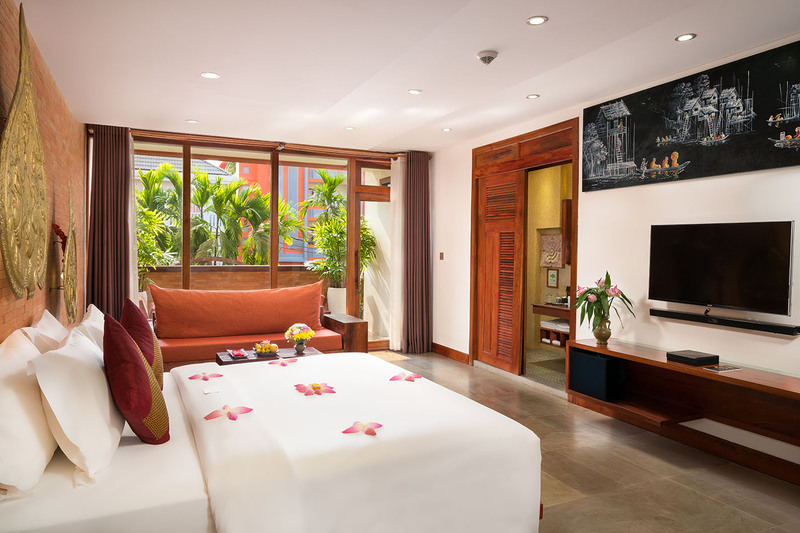 Located on the upper floors, the Suite Pool View rooms are very desirable suites in Golden Temple Residence overlooking the swimming pool and are popular with families and couples. Our Residence Suite is the largest room in Golden Temple Residence and is ideal for families with younger children who want to share the same room or couples seeking a sense of space.